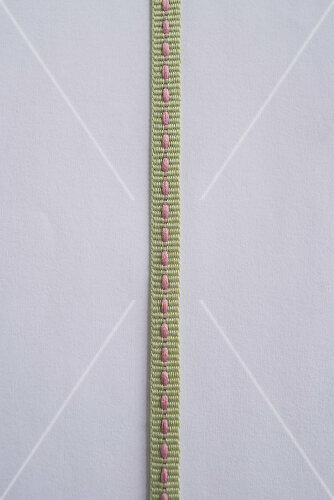 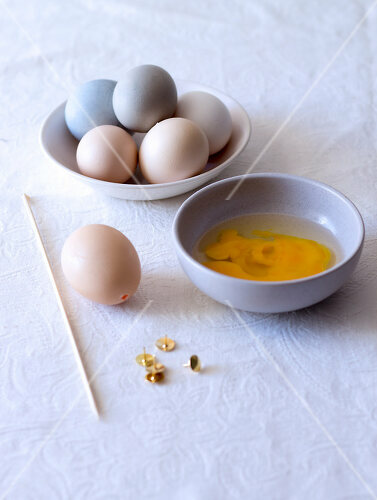 Natural colours are safe and yield subtle soft colours. 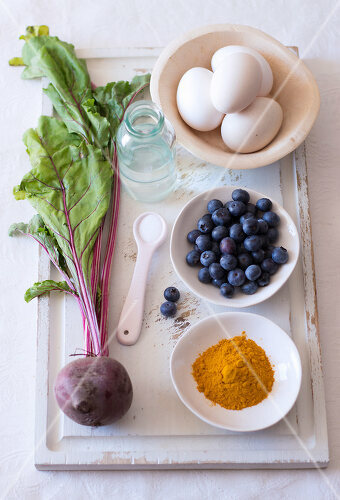 Use beetroot for pink, blueberries for blue and turmeric for yellow. 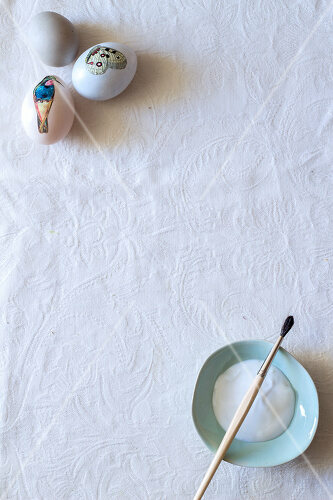 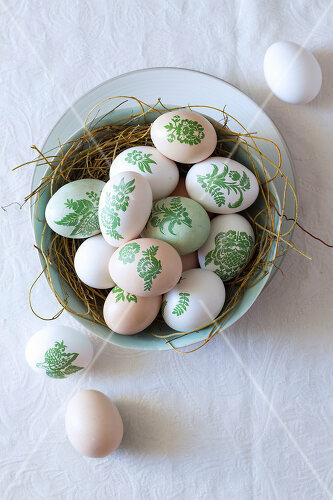 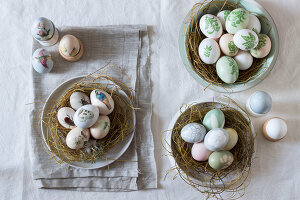 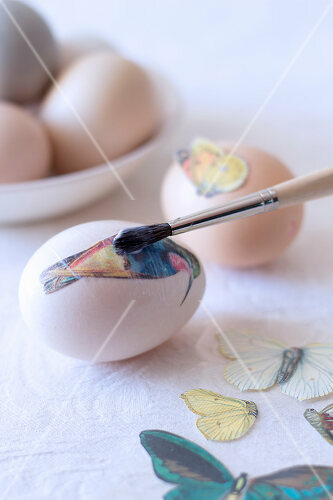 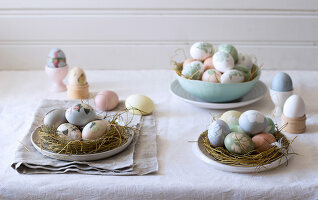 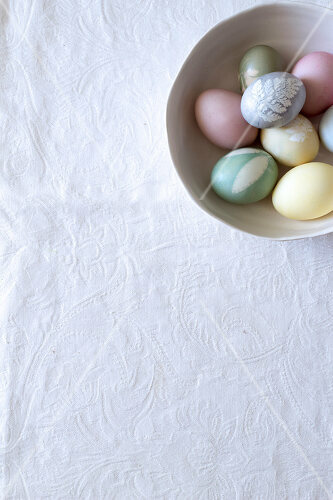 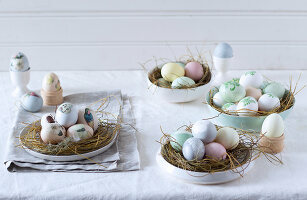 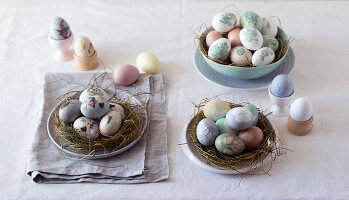 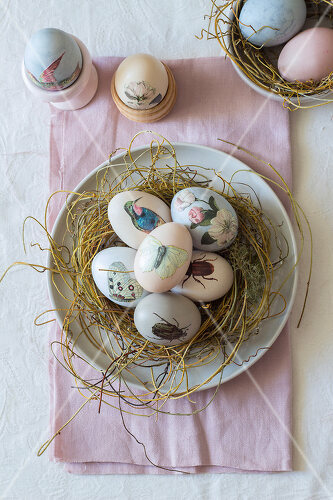 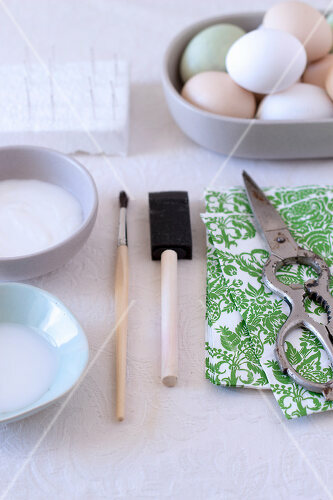 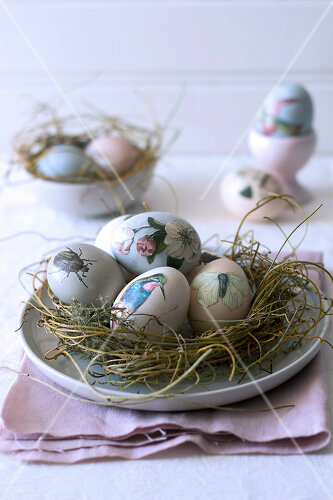 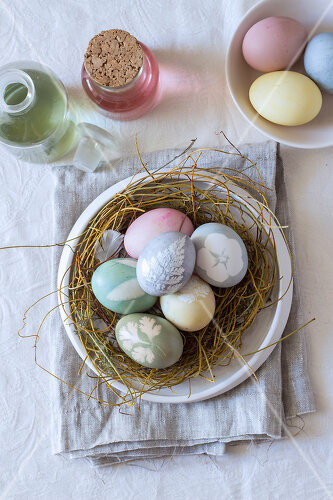 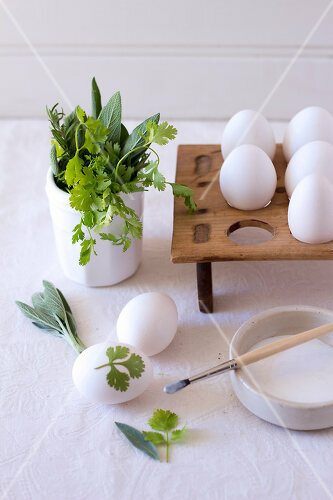 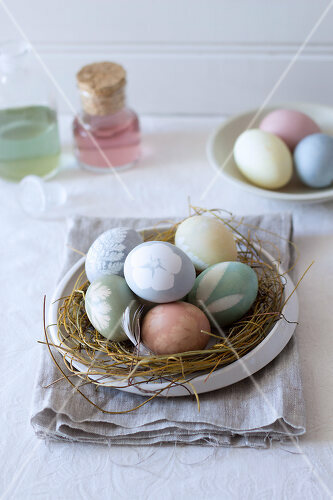 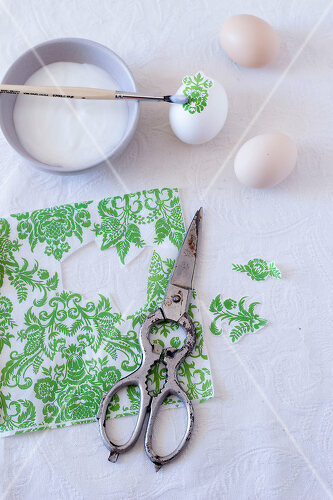 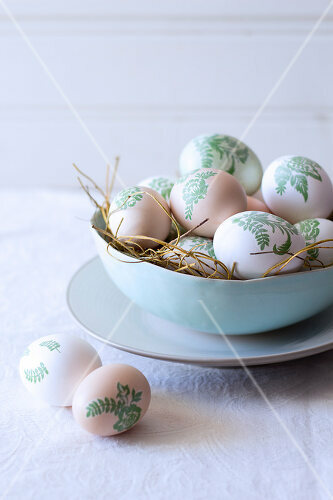 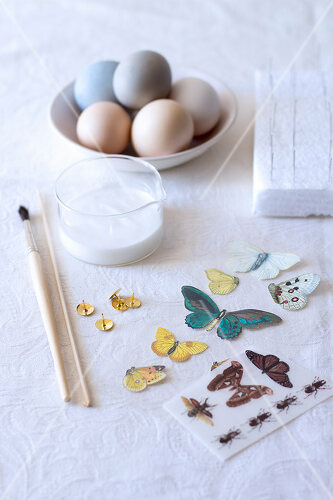 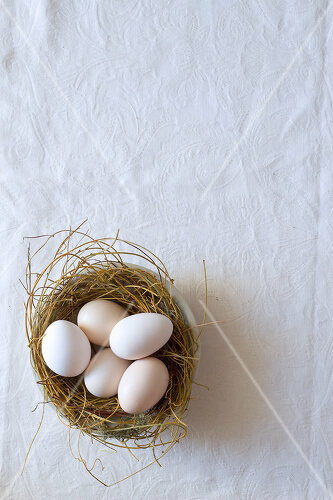 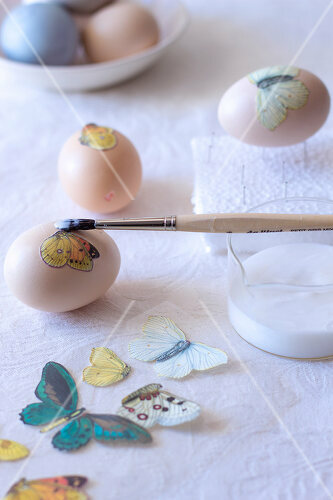 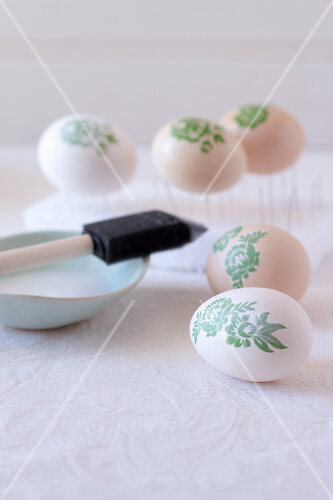 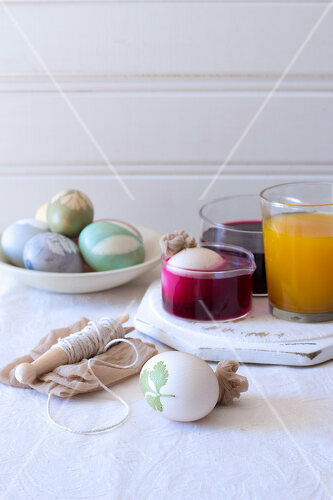 Add butterflies and birds or use paper napkins and decoupage to decorate your eggs.